Acts as a strategic partner for embedded product developers. Provides solutions for intelligent video, imaging, and Linux on FPGA. Blockchain enables true Internet of Things without bottlenecks. Integrates own and third party design blocks to optimize cost and time to market. 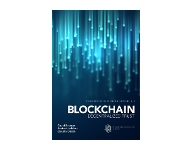 Published in October 2016, co-authored by David Bauman, shed some light on what Blockchain technology is, how it evolved, where it is heading, and how it can be used.